NEWS – With the latest update to Pandora’s mobile app, all Apple Watch users running WatchOS 5.0 or later can enable offline playback for paid subscriptions. Users with paid subscriptions to Pandora Plus or Pandora Premium — $5 and $10 per month, respectively — can now automatically sync music for offline play when in close proximity to their Watch. According to Pandora’s app description, “we bring you a brand new, built-from-the-ground-up app that’s seamlessly integrated into the Apple Watch experience.” The Pandora app also claims better integration with the Watch interface, utilizing the larger faces of the Apple Watch 4. 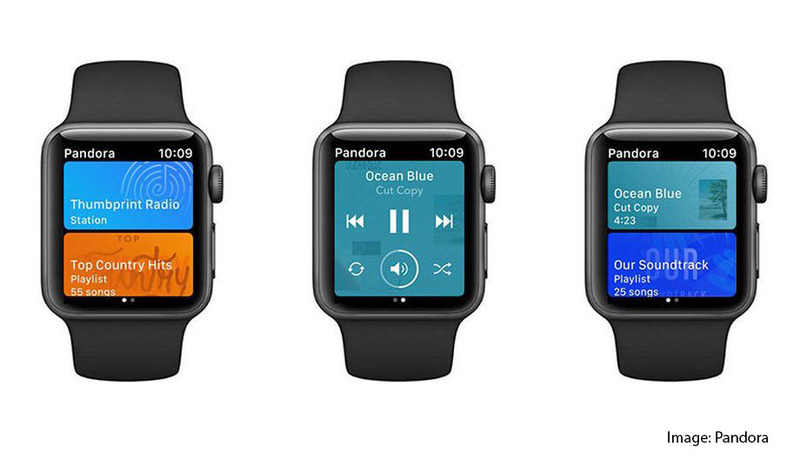 Much like Apple’s own Music app, paid Pandora users can simply play downloaded music directly from their Apple Watch. I couldn’t find exactly how much music is stored on the watch, but I assume it’s more than enough for a nice long run. As a Spotify subscriber, this is something I’ve been longing for on my own Watch for some time. I’d love to be able to head out for a walk or run and listen to music without my iPhone jangling around in my pocket. It’s somewhat disappointing for me to see Pandora beat Spotify to the punch on this, but it’s great news for their subscribers. I’m surprised to read that Spotify doesn’t offer this. I have a Samsung Gear S3 watch, and I can download music to it from Spotify and use it offline with a paid subscription. I’ve been able to so that for probably a year or so. Usually the Apple Watch beats its competitors on things like this. Oh, nice. I even have a podcast app that lets me save files on my Apple Watch for offline listening. Just not with Spotify. I’m sure it’s coming, though. You’d think that since Apple is making money off folks subscribing to Spotify Premium through the app, it’s not Apple that’s holding them back from the Watch functionality. Just haven’t gotten around to it yet, I guess.